Checking account alternatives that provide full featured bank account services without applications or credit checks. Many offer account opening bonuses. More than 50 million people in the United States, or about 20% of the adult population, don’t have a bank account. Some, instead, choose to use simpler banking alternatives, like prepaid debit cards or check cashing services. In many cases these types of products can be cheaper and more convenient than maintaining a checking account. Most alternative banking solutions offer all of the same services of a traditional bank account, and in some cases even more, without the need for a credit check or any paperwork. There are also situations where an alternative banking product is not an ideal solution, but rather a necessary one. For those who have little or no credit, bad credit, a past bankruptcy or previously delinquent bank accounts, traditional bank accounts may not be an option. Traditional banks will conduct credit checks and reviews of any previously held bank accounts, to determine whether or not to allow access to their banking products. These stringent requirements can make it difficult for anyone to obtain a bank account, and are one of the most common reasons people seek alternative banking options. 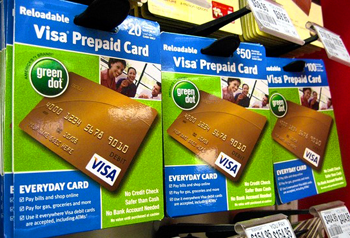 A few of the top prepaid debit accounts are listed here, along with some of their most prominent features. There are also a few features which all of the accounts have in common, such as, no overdrafts, no minimum balances, no credit checks or ChexSystems, 100% approval rates (with valid ID), free debit card, free direct deposit and online bill pay. AccountNow is a long-established banking alternative. They offer both Visa and MasterCard accounts. Direct Deposit is free and includes a $15 bonus, the first time you set it up. 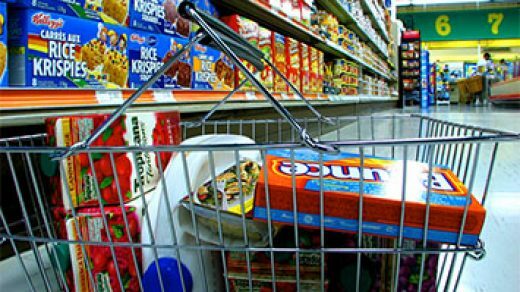 The account also includes enrollment in a rewards program, which offers cash back bonuses for shopping with certain merchants. AccountNow allows you to add cash at 135,000 store locations nationwide, and withdraw cash at any Visa/MasterCard ATM, though regular ATM fees apply. GreenDot offers the option of a Visa debit card or a MasterCard debit card. There’s no credit check or minimum balance requirement. Funds can be added to the card by direct deposit, check cashing or adding funds at one of thousands of participating retail stores. 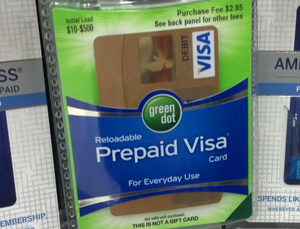 Green Dot also provides free withdrawals at 22,000 ATMs throughout the U.S. 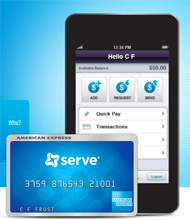 Serve is a full service banking alternative offered by American Express. There’s no minimum balance required to open or maintain the account. If you receive at least $500 in monthly direct deposits, there’s no monthly fee, otherwise, the fee is $1. Money can be added to the account with a credit or debit card, bank transfer, direct deposit, or cash. You can also transfer money between Serve accounts, and setup linked accounts for kids, family members, or anyone else you need to transfer money to. There are a few different kinds of savings accounts, all with different kinds of benefits and possible downsides. Selecting the correct kind of savings account is an important decision for healthy finances. A savings account can simply be a place to hold money and earn interest. You can take the money out when you need it, though there are some limits on how often you can withdraw, however there are unlimited deposits. Typically you would open a basic savings and checking account at the same time at the same bank. There may be fees and a minimum balance associated with this kind of account and the interest, depending on the bank, can be rather low in comparison to other kinds of savings accounts. 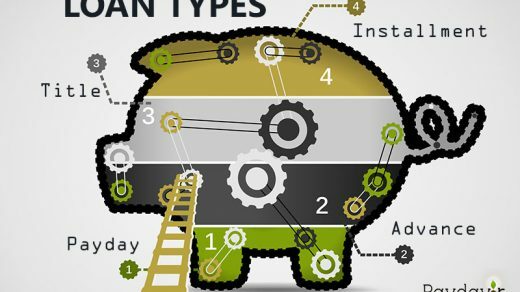 Offered by both brick-and-mortar banks and online banks, these online savings accounts typically have better interest rates than your plain Jane basic savings account through your local bank. Fees and minimum balance requirements are less common with these kinds of accounts. A downside is that you do have to do most of, if not all of your banking online. These kinds of accounts also have unlimited deposits and a limited amount of withdrawals. Money Markets accounts are an interest bearing account that commonly have higher minimum balance requirements than a regular or online savings account and may have associated fees as well as a limit on withdrawals. Owing to their FDIC insurance, Money Markets are considered to be a basically risk-free investment and an overall safe place to put your money. Money Markets are offered by most banks and financial institutions. CD accounts generally have a higher interest rate than other kinds of savings accounts but the funds are not readily available. How long you are unable to withdraw the funds depends on the type of CD you buy. The primary reason for choosing a CD would be the high interest. CDs are also FDIC insured. The banking industry is highly competitive. Banks are constantly looking for new ways to attract customers, either, as a new customer to the bank in general, or to promote specific products offered by the bank. One of the most successful ways banks attract new customers is with cash bonuses. Bonuses are typically offered as a one time incentive to customers who open and maintain a new account. Sometimes there are specific requirements, such as, maintaining a minimum balance, or making a certain number of direct deposits in a given month. Here you’ll find a list of recent bank bonus offers, and some of the details about their respective incentive programs. Fifth Third Bank is offering a $200 for new accounts. The account has to remain open for at least 90 days and receive at least one direct deposit of $100 or more during the first 2 months. This bonus is also only available by phone. The code to redeem this bonus is 10387. US Bank is offering a $100 bonus for savings account holders who reach and maintain a balance of $1,000 or more in their account. The account holder will receive a $50 bonus for reaching a $1,000 balance, and another $50 if the $1,000 minimum is maintained for one year. Open a checking account with Salem Five, and receive a $100 bonus after you’ve started using your new account. You can meet any one of three activity requirements to receive the bonus. Make 2 direct deposits of $250 or more, use online bill pay 6 times or more, or use your debit card 20 times. The bonus is paid in the form of a $100 Visa gift card, which can be used anywhere Visa is accepted. 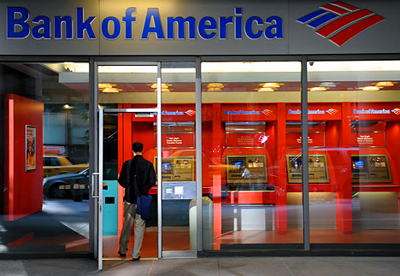 Use promo code BAW100N through Bank of America online, to receive a $100 bonus, after setting up direct deposit. Recurring direct deposits totaling $2,000 or more per month must be setup and maintained for 90 days, to receive this bonus. Union Bank and Trust is offering a $50 bonus for all new checking accounts. To qualify, you must use your debit card 10 times within the first 2 months of opening your new checking account. The account also requires a $50 minimum balance to open an account. Open an account with Capital One 360 and receive a $50 bonus. You only have to make 3 purchases with your debit card, or 3 person-to-person payments, in the first 45 days after opening your account. The $50 bonus will be deposited within 5 days, after the 45 day mark. Maintain a $3,000 minimum balance in your new Amboy savings account for the first 3 months, and receive a $50 bonus. Only one offer can be redeemed per household. A $100 minimum balance is required to open this account.